Sigh. First it was Baby E, and now his dad. Everyone wants their say on this blog. Nothing in this house is private, and my husband, along with everyone else in this home, follow this blog's posts, since this blog is pretty much 99.9% our family's blog. I awoke to the following note on our kitchen counter, which prompted today's post. Today, since we run a kingdom that is fair, we feature, "Tech Support Responds" as part of our When Someone You Love Has A Blog, Part I, Part II, and now, our "surprise" guest contribution to the series, "Live-In Tech Support," as prepared by The Emperor. Beloved blogger, [wife], shall not address husband as "tech support." Said that, "tech support" is not available during husband's wage earning hours. As in, no phone calls to work asking how to embed a YouTube video on her post for that day. It may be difficult for her to believe, but that is not what is known as "Level 1-Emergency." Tech Support's hours must be respected. No pre-alarm clock wake ups. Whether comments are appearing or not for her post that day, it can truly wait. In other words, please let me sleep. Said that, do not abuse on site tech support. As much as blogging has made for a much happier wife [beloved blogger], said person must still engage in her real life relationships, and look up from the computer as well as remove fingers from keyboard when husband/significant other is attempting conversation. Time together must be spent, drive through McDonald's does not count. The member in the household who clothes, feeds, and provides shelter should not have to wait in line or take a number to use the computer. Do you all like the computer? Good. Remember who brought it home. Last note to wife/beloved blogger, "with 25 years of professional work experience, why don't you listen to me when I suggest changes to your copy? I'm not just here for fodder." In summary, to all beloved blogger's support staff, when you think of calling your blogger out about her time spent away from the family, recalling fondly the days of pork tenderloin and glazed carrots, think of your wife's/beloved blogger's happiness. As the wife's/blogger's happiness goes, so goes the household. A bowl of cereal for dinner surrounded by your family and served with a happy smile and warm laugh tastes better than any 7 course meal eaten alone in the finest restaurants of Paris, HongKong, Brazil, Amsterdam, Italy, India, Sydney, or Spain. Believe me, I've had both. smiles. nice to hear from hubby...tech support...lol. Awww! Is that last part cute or what?!!! I love the love in here! Drive thru's don't count? Man! I guess we will never talk again. When we eat out we both have our books with us and read while we eat. Drive thru's are all we have. That, right there, is a man with his priorities straight. You know how to pick em! I think I'm tech support for my husband! "look up from the computer as well as remove fingers from keyboard when husband/significant other is attempting conversation" Oh my, that is the one that drives my husband up the wall! If he hears Mmm Hmm again he may never speak to me again : ) Your tech support is very wise and funny too! I love a family blog! Oh my gosh - tech support! That's really funny. My husband refuses to do tech support for me. 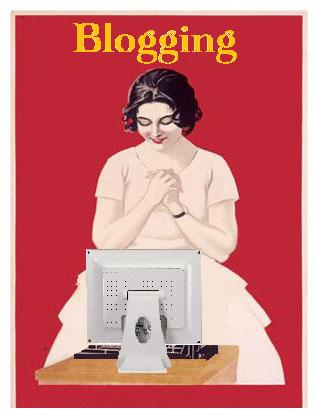 I'm laughing at "not just here for blog fodder". Wonderful! My husband does none of the above but he is thrilled that I have entered the Tech world and loves the peace and quiet! I love this! How awesome is he to write this for you, AND for his utterly sweet ending part. Love that he can be happy with a bowl of cereal, as long as you're smiling at him. So sweet! Hahaha! At least your husband is interested! I was nearly blogging for a year when he read mine (finally!) and looked incredulously in my direction and said "You're really funny!" Geez, you'd think after living with me 10 years he would have figured THAT out already! Now he'll ask about my blog and kinda sorta act interested, and oh yes, he'll always say "Get your camera. We're going to do such and such and you can put it on your blog." No tech support on this side. I usually harangue one of my besties' to bug their hubbys to help me. True dat, when you say that cereal served with a smile is better than anything fancy served, well, without one. Also, I'm shocked to hear that mcdonald's drive thru time does not count as quality time together! Some of the most special moments happen in that drive thru! You always make my day! I hope your having a great weekend!! Oh, SO funny! I was laughing out loud reading this and then read it to my husband who was nodding and laughing in agreement. Kudos to tech support though for realizing that wife/blogger's happiness goes a long way, cereal and all! But what if the WiFi is down and he's the only one that knows the passwords necessary to fix it? Is that a level-1 emergency??? "Tech support"...hmmmm....that's what I need! Where can I get me one of those! I'm loving that everyone has fun with it. I pretty much just have all the fun to myself on The Jason Show. Everyone else in my family has lost interest. Your tech support guy is kinda funny! does your tech support hire out? ManOfTheHouse knows less about computers than I do... and that's pretty darn pathetic. That is simply awesome that tech support left you a blog post on the kitchen counter. And I am so glad I'm not the only one that's found myself forgoing homecooked meals in lieu of takeout. Although pork tenderloin and glazed carrots does sound delicious. Tech support! Where can I get me some of that? My husband's idea of high-tech is a stick with a sharpened end, so he's no help at all. Except that he sells optics and lasers all day and speaks this unintelligible technical language. But the computer? He can turn it on and find solitaire when he's at home. He doesn't mind grilled cheese sandwiches for dinner one little bit, though, so he gets lots of points for that! Oh my goodness, the talent is family wide. I love it. Thanks for your kind note btw, you are a sweetheart! Wait - you only have one computer??? The last sentiment was all I needed to know you found not only an Emporer but a Prince as well. The Emperor speaks! And the subjects must listen. So great to hear from Mr. Emp too. miam miam pork tenderloin with glazed carrots. You set the bar high girl! Happy wife, happy life. Even The Emperor thinks so. I *think* my tech guy...ummm...I mean husband, is pretty much on board with all this. But truly, I'm afraid to ask. Too funny! My husband is also my tech guy! I usually try to "google" any issues that I am having, but if that doesn't work I just put a call in to my hubby. Your husband's funny. Don't tell him I said that because then he'll get his own blog and that will be one more blog I won't read. I'm grinning. He's very funny, so glad you shared this. Live in tech support? That is a very attractive quality in a man. You're a lucky girl! I totally just dirty deleted because I had a typo. HA! Anyhoo...Tech support is a term of endearment! YES! YES! A thousand times, YESSSSS!!! Keep fighting the good fight...and writing the good, uh...write. If it makes you feel any better, I can't even MENTION my groom in my posts without catching an earful. Mommybloggydom is a trying existence, indeed...but I wouldn't have it any other way. That is HILARIOUS!!! Also...yes they ARE here for fodder. Duh! But I will not be showing this post to my Tech Support... he already has too much of an attitude! Hysterical! We really have to keep these support people in line. Found you through She Suggests. Landing on this post made my day -- I'm married to an IT professional, and I always joke that I married him for one reason only: tech support for life. Love the "secret code" one! Ah, this is a great series, and I love taking a peek into other how other bloggers navigate family time. This is getting to be a VERY sensitive issue in my household. I'm going to have MY tech-support contact YOUR tech-support and maybe they can form a support group. Another brilliant post in the series. I do my own tech, so can I get my man to do house work then? I refer to Mark as Tech Support Guy all the time. I would have to write letters. And affix stamps. And lick envelopes. Hmmm...these points sound oddly familiar ... as if they were said to me by my tech support ... errr, I mean beloved husband. Um, since my husband is in the "unknow" about my blog, can i call YOUR husband for technical support? Please? I'll give out my bat-phone-number so he knows it's me!! Tech support seems not-to-happy about his role in your blog! My hubby "secretly" reads my blog and then critiques how I say things went down. This whole post made me laugh and was exactly what I needed this evening! This was one of the funniest blogs I've read in awhile. I can relate, and apparently my husband can, too, because he was laughing along with me. Thanks! LOVE it, Alexandra!!! To be honest, I have been waiting/hoping for an Emperor post!! I just admire how witty your entire family is. I'd love to spend a day in the life of you guys. Such a hilarious post, and like someone else said, I love the love in it. He understands and gets you and I can just picture those moments of you calling him at work frantic. I just love the ending - the comparison between a happy family meal of cereal versus the 7-course international meals. He appreciates you. Hope to hear from the Emperor again in the future! I totally agree with the last. And referring to my husband as tech support? I do. He is. Too Funny!! Cereal for dinner? That is definitely the dinner of champions! LOL! Ya'll are too funny! A household full of comedians -- you guys are just too much. I would love, love, love to meet the family. And this is my favorite bit of today's post: Why don't you listen to me when I suggest changes to your copy? I'm not just here for fodder! Smiling as always when I read about this empire! No tech support here...only from the kids. Did my husband write this? I really enjoyed Tech Support's contribution to the blog---fodder, indeed! My husband could never be my tech support. Which is why I'm so slow to learn most things around here. LOL! I enjoyed reading this. Ha! Too many husbands are saying the same things, including mine. Did someone write "Blogger's Husband for Dummies"? Or have they released CliffsNotes on the subject? You're lucky he gets it. Mine thinks it is silly, and it takes precious computer time away from his fantasy football league..which is SO not silly at all. LOL. LOVED this. I think My Guy would be nodding enthusiastically with this. Good job Emperor! LOL! Thanks for stopping by my blog yesterday! I am your newest follower! I am so cracking up at your husband, MY husband feels the same way. He is an engineering/IT guy so I figure I married him..he should be my go to guy! Right? I agree, if blogging makes us happy, the whole household runs more smoothly!Can they imagine what we'd be like if we held it all in?Happy Mothering! Also,wanted to let you know that I posted my first of a month long of Be a Better me challenges today, hope you can stop by and link up! Since when are YouTube videos not a Level 1 emergency??????? Wow - is this familiar! I took a short hiatus from blogging and my family got sick of having me underfoot and noticing things again. Thanks for your comment earlier! I'm glad we got to meet! I think hes knows whats best for him...and the family........Happy Mom Makes Happy Home...Keep up the good work..! Well, darn it anyway, what else should I use him for now!? And? MY HUBS IS an IT guy!! came from erin's. i am one of her 'tribe' not her jewish one though, i'm a goy. loved your post there. great stuff. and tech support would be one thing i have NOT called my husband. My husband can totally related to this post in the "She's at that keyboard again? sense! This is hysterical. Every time something goes wrong with anything electronic in my house I blame my husband. He would enjoy this rant. My husband is totally just here for fodder. I love that, though, like I'm not just a pretty face! This was funny especially because we seem to have the same rules in our house created by the Beloved. My answer: if I'm not happy you sure as hell ain't gonna be either, so fix it! and . . . why is this bad? Ha! Well, I am way behind in reading this post but I love how your whole family rallies around you! Tech support! Guest posts! I think my family still believes that bloggers are in a cult, trying to pull me in. Cereal for dinner rocks, by the way. If I had live in tech support, I wouldn't bother messing around with Google Help! That's such a waste of time when you've got a guru to assist. Good thing my husband doesn't read my blog cause he's "too busy" doing the tech stuff too. Pft. Men. You have live in TECH support??!!! That is dreamy. When I have a problem I have to figure it out myself. I mutter. I growl. Luckily my family has learned to walk by me and whisper loving words very calmly. Seriously. They treat me like I should be in a padded room if I am having problems. I love it!! Your tech support is awesome! My tech support thinks blogging is nutty, weird and doesn't get the fascination. I wish my tech support actually DID tech support! You know I ADORE this series of posts. Brilliant.